This year the annual ‘St Nicholas comes to Hahndorf’ event will again begin at the historic St Paul’s Lutheran Church, where children will gather and participate in a craft activity that’s sure to be fun for them all. Parents will be entertained by musical entertainment and a free sausage sizzle. The tradition of St Nicholas reminds us all about the spirit of giving, and the ‘St Nicholas Boot’ will again be rolled down the street and available to collect any public donation to the event's selected charity. The whole community is invited to come and join in with the fun on Friday 6th December at 6.00pm at St Paul’s Church Hall, and to see the procession leave St Paul’s car-park at 7.00pm. The Parade will be led by the Hahndorf Town Band and of course feature ‘St Nicholas’, and conclude at Alec Johnstone Park where children will again learn of the legend of St. Nicholas’s gift giving and his help to the needy! 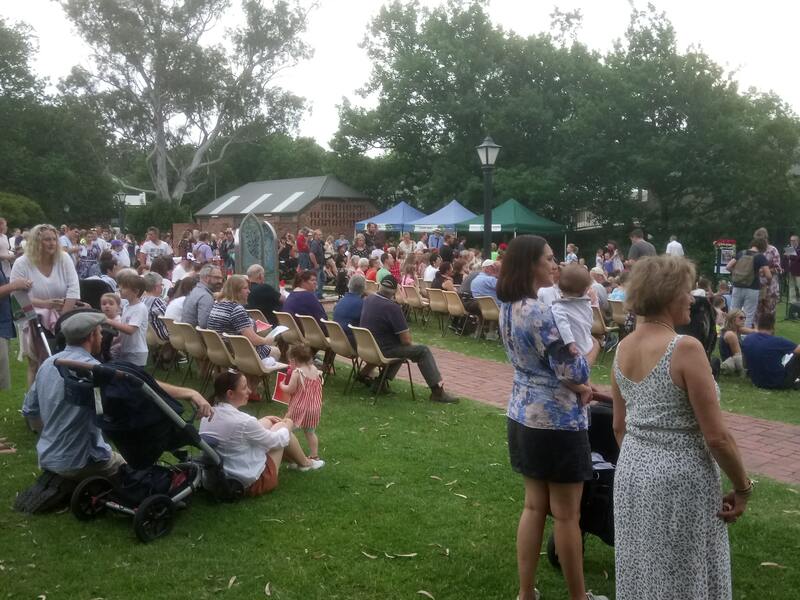 After everyone has joined in with the traditional Christmas singing, the children will receive a gingerbread gift from St Nicholas, and the adults can enjoy tea, coffee and cake, with entertainment from the Hahndorf Town Band.